Some 5,000 electron version of books in the Arabic language and books on the Egyptian culture have been presented to the National Library of Azerbaijan, AzerTag state news agency reported. 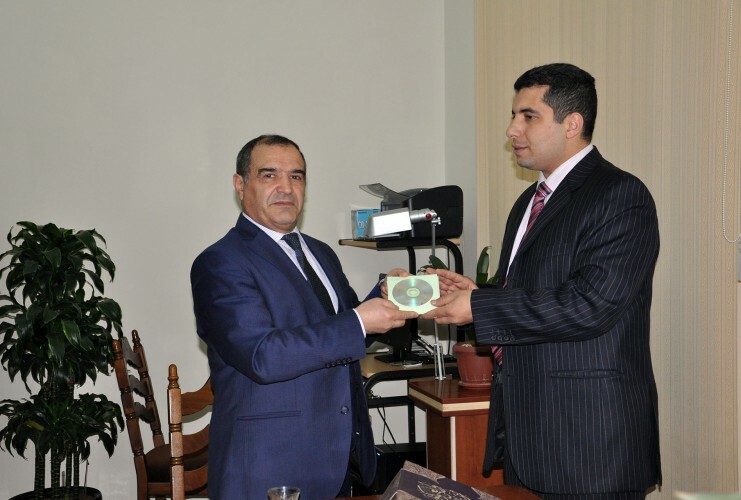 The ceremony was held during the meeting of Director of the Cultural Centre of Egypt at the Egyptian embassy to Azerbaijan Ahmed Sami Elaydy and director of the library, Professor Karim Tahirov. The meeting featured discussions on the mutual cultural relations between the two countries and the mutually beneficial cooperation between the National Library of Azerbaijan and the National Library of Egypt.